Eleven sprockets that are even more efficient; despite the reduction of the thickness. The teeth have been designed to optimise the speed and fluidity of shifting. The large pinions are divided into sets of three and are mounted on a new aluminium frame. Thanks to this rigidity increases 180% and the individual sprockets are 70% more resistant to torsion. Quality and excellent product coming from an outstanding bike store with a very competitive pricing. My cassette and chain arrived right on time, no problems whatsoever. The bike rides even better now! The Chorus cassette is equivalent in quality to the Record and Super Record and utilises the same light alloy carriers for the triplets but with steel cogs replacing the titanium cogs. 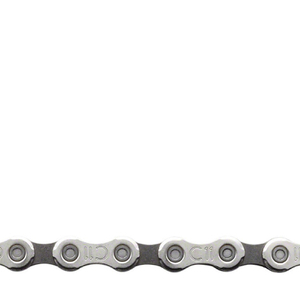 This is a race quality cassette which will last longer and at a fraction the price of the titanium versions; for training it's a no brainer. This cassette works perfectly with my Super Record drive train. I run the standard short cage. I changed from the 25T Record cassette to get some hill climbing relief. It shifts just as well and quite as the Record and for a lot less. Glad I found this at ProBikeKit. Excellent, proven product for a great price! Works like a Record, with a so tiny difference in wight, in better price... It's a star ! Chorus cassettes work as well and last as long as the much more expensive models and are only slightly heavier. Campy is always great! Good replacement for Record cassette. A few grams more but many dollars less! I have a Colnago C59 with Campy Super Record 11-speed. When it came time for a new cassette I didn't want to replace it at the going prices so I opted for this cassette on the advice of a bike mechanic friend of mine. There's only a slight difference in weight compared with the Super Record cassette and the shifting is just a butter smooth.